Theresa Bruns was in DePaul Cristo Rey High School’s first graduating class and this May, she will be among the first to complete college. A large, colorful mural that hangs prominently at DePaul Cristo Rey High School is artist Holly Schapker’s beautiful interpretation of the Biblical parable of the mustard seed. The mural’s images which include St. Vincent de Paul, Mother Margaret George and the Motherhouse chapel arches, illustrate the Sisters of Charity vision to start a school. It was a mustard-seed-sized idea that began ahead of the Sisters of Charity’s 2007 General Chapter. It has flourished into a thriving high school and in the months ahead, the vision will come full circle as members of its first graduating class complete college. Berea was a perfect fit for Theresa with its “no-tuition promise,” work study jobs for all students, and on-site child care. She and her daughter, Vivian, shared an on-campus apartment. “I lived at Berea the entire time; it felt safe to me,” she says. “The work study program also felt a lot like DPCR – I knew how to interview, how to dress appropriately, and how to do office work,” skills she says she learned through DPCR’s Corporate Work Study Program. 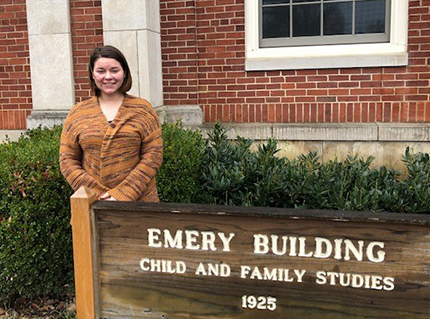 With her bachelor’s degree in Child and Family Studies, Theresa is applying for social work positions to start her career, and in the fall Vivian will begin kindergarten. They will cross the stage hand-in-hand when Theresa receives her diploma at Berea in May. DePaul Cristo High School alumnus Rico Bush will graduate from Mount St. Joseph University with a bachelor’s degree in Behavioral Science in 2020. 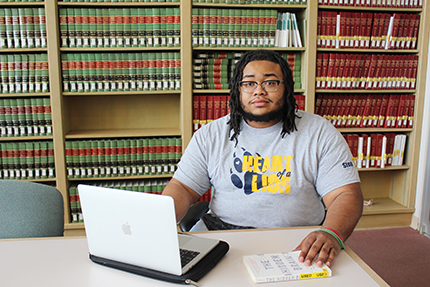 Rico Bush, also a member of DPCR’s first class, plans to walk across the stage at Mount St. Joseph University’s graduation ceremony when he finishes his bachelor’s degree in Behavioral Science in 2020.